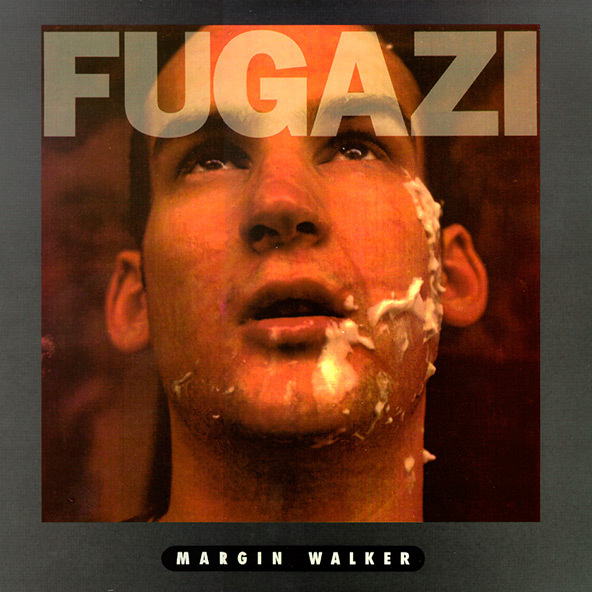 Margin Walker, Fugazi’s 1989 EP is set in Franklin Gothic. A font initially by Morris Fuller Benton in 1902, Franklin Gothic was inspired by the heavy san-serifs first made popular by Vincent Figgins in 1830. Victor Caruso drew the ITC multi-weight family in 1980 (which David Berlow expanded even further in the early 90s). At first glance the “Margin Walker” title text appears to be something along the lines of Futura Futuris Extra Condensed. However that particular flavor was released around 1993, so more likely just good old-fashioned Futura Condensed Bold with a healthy amount of letter-spacing. My all-time favorite Fugazi album. Hands-down. But WTH is that on Ian’s face..?!? !